If you are thinking to adopt a fur-baby as a new family member and you have kids (small kids), then you might need to first educate your kids on how to care and treat a cat or dog, most toddlers think pets are toys and try to play with them, of course a toy will not bite or scratch if it's ear or tail are pulled. Is there a safe way for your toddler and your furry-baby to learn how to co-exist together?. Your Cat, dog or lizard will not assist to classes or teachings on how to behave around small children; but your daughter or son might need them. 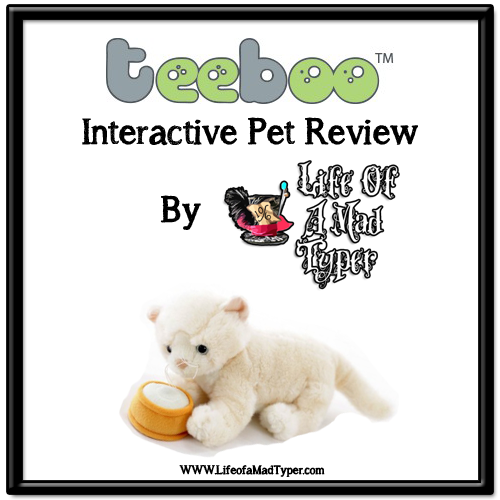 I was recently given the opportunity to review one of the most adorable stuffed animals I've had the chance to play with, the people from Teeboo USA sent me an adorable Persian Cat to review. By now am sure you are asking your self how a toy and teaching your kid about pets are related. Teeboo is a french toy maker who specialize on creating high quality interactive plush toys designed to awaken the sense of nurturing, caring and loving in children. Their stuffed animals are made with the finest materials. The adorable 20'' Persian Cat I received works with 3 A batteries and has 9 different interactive sound sensors, the toy come with a sticker placed where every sensor is located and once pressed will emulate the sound a real cat would do if touched in the same place for example: the sticker on the tail says pull me, once you pull the tail the plush toy will make a noise similar to a cat been hurt, if you rub and press the sticker on the back the cat will start purring, and the same will happen with the ears, head, paws and chest. 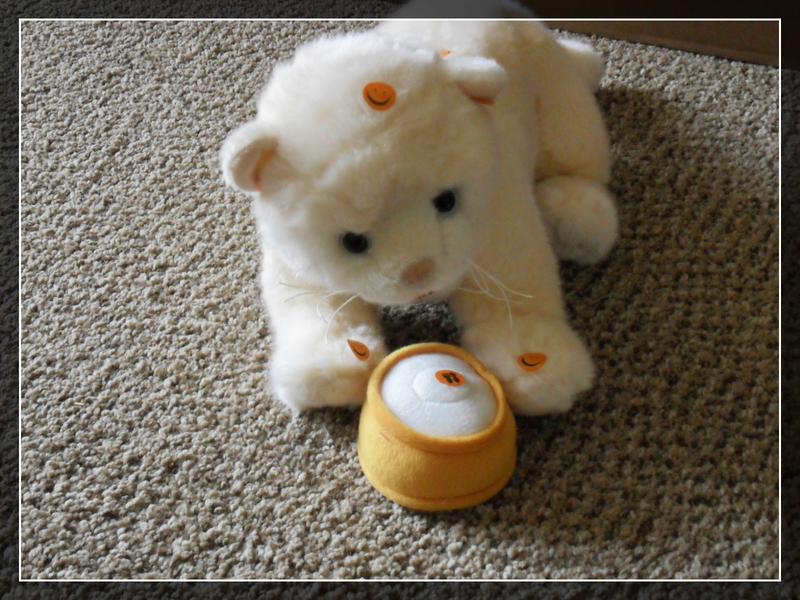 Every time the food bowl touches the Teeboo pet, the sensors will imitate the sound of an animal eating. This cat is definitively adorable and even fooled my own cat when purring. 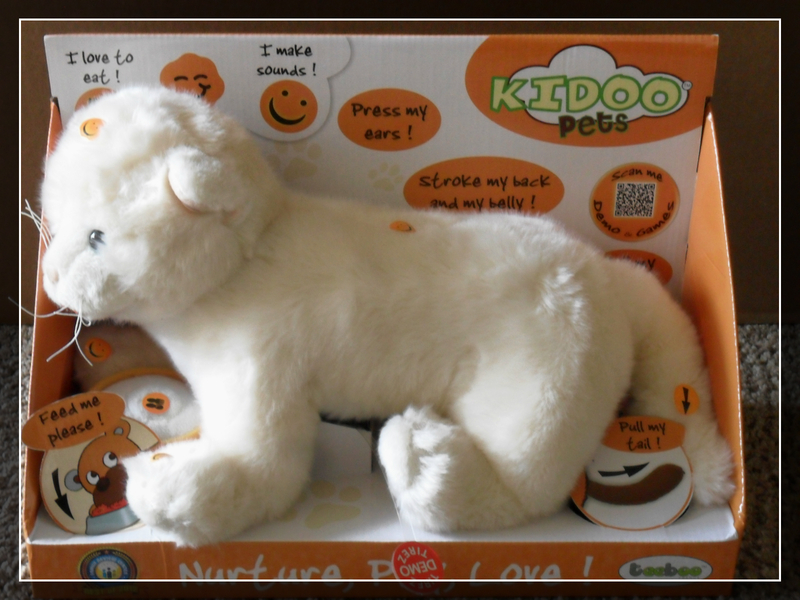 it's perfect for young children to learn how to treat their pets and is a great toy for older kids. The plush is really soft and the different animals are too cute. 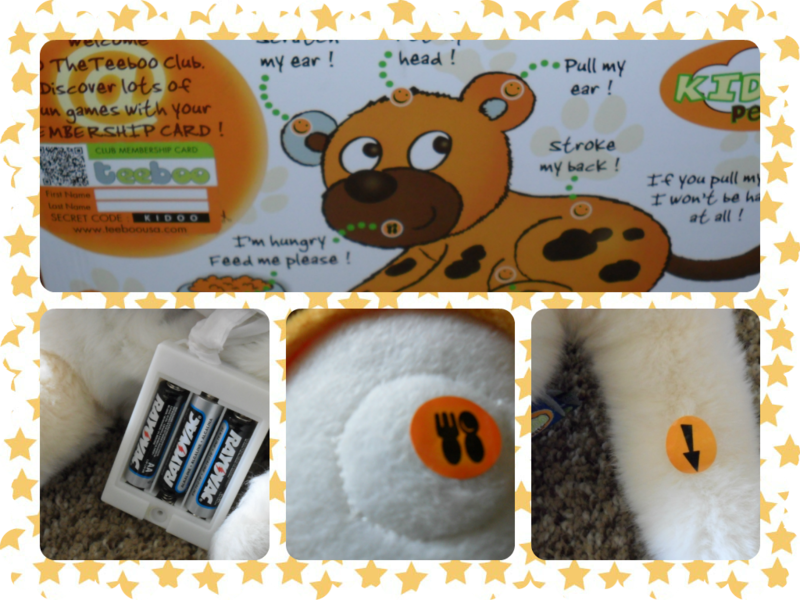 Playing with Teeboo was not only educational but a fun way to learn about pets and spend a rainy afternoon at home. OMG! This is super cute and great play toy as well as an educational toy! Great idea to use a plushie before getting a real cat. It's a wonderful way to ensure that children learn how to treat the animals well and not hurt them. It's also a super cute plushie! Those are just so adorable! Now I want a teeboo! I love the fur baby and the product. This is soo cute and what a great idea!! I wish I had this when my son was small. I would have loved to teach him about having a pet before we got a dog. This could be a great short term replacement for parents with very small children who just aren't ready for the real thing. 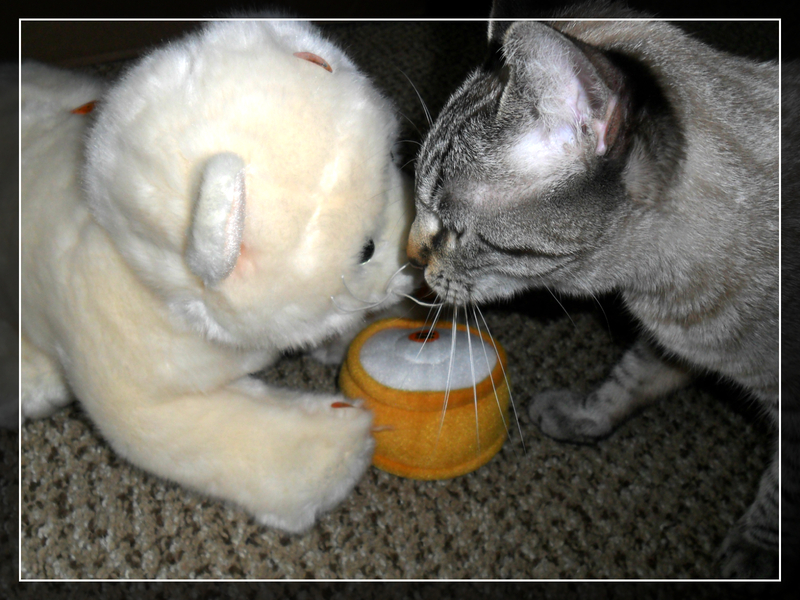 Super cute pic of your cat with Teeboo! This pet is good for kids to take care of to give them a good sense of responsibility! What an awesome idea! I think this is something very important to teach. That looks awesome I would deffo get one if I had some kids! My better half Louise would love some Rabbits soon as she is somewhat obsessed with them! Now that is adorable and super cute - love that! Suoer Cute My Girls Love Playing With This & It Teaches Responsibility Great Review! My little sister was a huge fan of interactive pets. Now she's too big for them, though. Fascinating! I never would have known that such a product existed! I like intentional parenting, and I like even more toys that are functional for children. Kids need to learn tools for their world, and I think this toy is a great idea. I mean, it depends on the age of the child, and parents can help offer greater purpose or insight with taking care of others and developing empathy for life. These are just the cutest. It's a great way go teach the kiddo how to interact with a pet. I have to show this to the hubby.